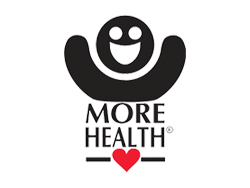 MORE HEALTHY SMILES is dental education in a box allowing health educators, hygienists, dentists, nurses & other professionals to go into schools & community with a turn-key program. The dental education program was developed by MORE HEALTH Inc. & supported by the Florida Dental Health Foundation. It consists of educational tools to help teach about prevention & oral health easy & fun. National Give Kids A Smile!® is an annual one-day volunteer event that provides education, preventive and restorative services to children from low-income families. Many children in Florida aren't smiling because of UNTRATED TOOTH DECAY. It's painful, unsightly and makes it hard for kids to eat, sleep and pay attention in school. DENTISTS WANT TO BE PART OF THE SOLUTION. During the month of February, join Dentists, Hygienists, dental assistants and other healthcare professionals in Florida to help PROVIDE FREE ORAL HEALTH SERVICES TO QUALIFYING CHILDREN. We hope you will join in for 2014. 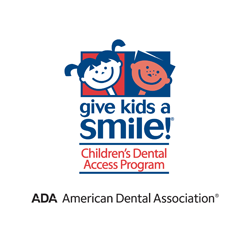 * Give Kids A Smile and the Give Kids A Smile Logo are registered service marks of the American Dental Association. 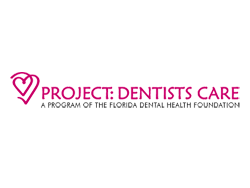 Project: Dentists Care, Inc. (PDC) is a non profit, charitable organization formed in 1993. This dental access-to-care program was established by the Florida Dental Association (FDA) and supported by the Florida Dental Health Foundation. It consists of a community of dentists who volunteer their time and services to provide a safety net of preventive and restorative dental care to those in greatest need.